Harry Truman made a speech at the Washington Garden Club. He gave credit for his beautiful flowers to the good "manure" he used to fertilize them. The prim and proper ladies didn't think much of the President's repeated use of the word "manure." One of them said something to the First Lady, Bess Truman. She asked Bess if she could make him stop using the word "manure." It was a vulgar word in their opinion, and he was, afterall, the President of the United States. Bess replied, "Heavens no! It took me twenty-five years to get him to say 'manure.'" A Note From The Midnight Freemasons from Robert Johnson on Vimeo. It never fails that I’m asked this question during this time of the year. It’s not because of his long career as a performer and singer. It’s not because he was an Academy Award winning actor. It’s that song they play and play and play starting around Thanksgiving! “White Christmas” is the bestselling song in history according to Guinness Book of World Records. Since it was released in 1942 it has sold more than 50 million copies. The first time Americans heard that song was when Crosby performed the song live on his radio show in 1941—it was one of the songs from the movie “Holiday Inn” he was starring in. It was written by Irving Berlin, and Crosby didn’t think it was very remarkable when he first sang it. 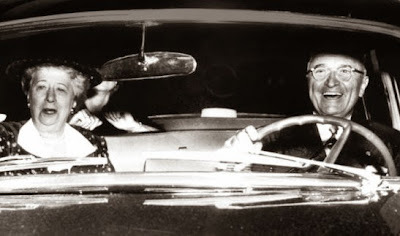 He later recorded it in the studio with an orchestra in just 18 minutes and released it as part of a six song album of songs from the movie “Holiday Inn.” “White Christmas” wasn’t the hit song from that movie originally—it was the song “Be Careful, It’s My Heart” that originally became popular. But White Christmas struck a chord with those serving during WWII. The nostalgic tone of lines like “just like the ones I used to know” and “where the treetops glistened” hit home with veterans serving away from their families, and the Armed Forces Network was overwhelmed with requests to play the song. The original master recording was used so often, it eventually became damaged. Bing Crosby remade it in 1947, and that’s the version most often heard today. My Grandma Creason never liked the song. When it was originally released, she was working in a small restaurant. The customers there played the song on the jukebox over and over and over again—to the point everyone that worked there was sick of it. One of her co-workers told her as the song was playing yet again, “Don’t worry, Lucile, they’ll eventually get tired of it.” But, they never did. 71 years later, it’s still one of the most popular songs during the holidays. Bing Crosby’s version still remains the most popular and has never been out of circulation. But that’s not the only version—“White Christmas” has been re-recorded by more than fifty different artists over the years. But the question is—was Bing Crosby a Freemason? 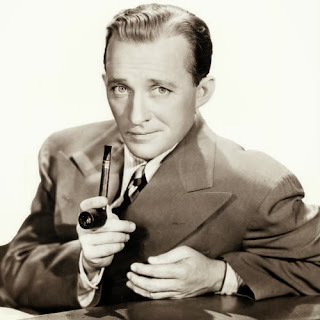 Bing Crosby is often listed as a Freemason, but in fact, he was not. He was never the member of a Masonic Lodge. Some of the confusion is because of the song “White Christmas.” Bing Crosby wasn’t a Mason, but the man that wrote “White Christmas” certainly was—and he was one of America’s most prolific and successful songwriters of all time. Irving Berlin was a member of Munn Lodge No. 190 in New York. 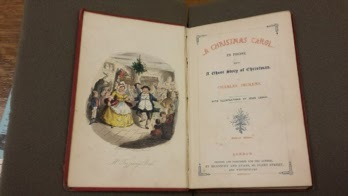 "It is my heart-warmed and world-embracing Christmas hope and aspiration that all of us, the high, the low, the rich, the poor, the admired, the despised, the loved, the hated, the civilized, the savage (every man and brother of us all throughout the whole earth), may eventually be gathered together in a heaven of everlasting rest and peace and bliss, except the inventor of the telephone." 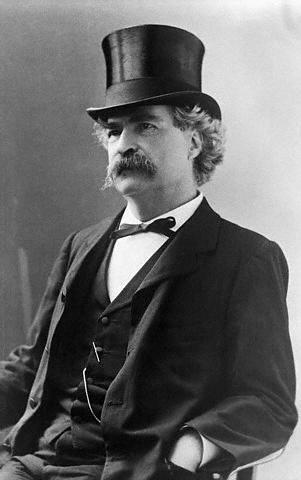 Mark Twain always did have a sense of humor and a general mater-of-fact way of speaking. He did say that the telephone was an incredible invention but I do believe if he were alive today, he would have some interesting things to say, especially about cellular phones, telemarketing and everything else that comes with telecommunications in general. I am sure that Bro. Mark was a man who enjoyed the art of letter writing and face to face communications rather than the rather bothersome and then at the time, cumbersome use of the telephone. Remember to write out some cards this holiday season, it means much more than a phone call to a great many people. Merry Christmas everyone! Accompanied by the thousand yard stare that comes free with every epiphany, that is how Benjamin Franklin Gates (a.k.a Nicholas Cage) matter-of-factly announces where he will find the key to wealth beyond imagination... a hidden map to the long-lost Masonic Treasure. Along about 1795, eighteen-year-old Daniel McGinnis found a circular depression in the ground on a small Canadian island. It was beneath an old oak tree with strange markings carved in it, and reports say a block and tackle was hanging from one of the branches. He figured something had been buried there; something very big and very heavy. He rounded up two friends, John Smith and Anthony Vaughan, and they started digging. Today, nearly 220 years later, we're still digging. Depending on the reports you can read, the effort has led treasure hunters through nearly 200 feet of muck, mud-caked chambers with oak floors, a cement vault with walls seven inches thick, tantalizing artifacts with strange symbols and, of course, the mother of all booby traps that they still can't bypass. This isn't the fiction of Benjamin Gates. It's all very mysterious, very real and, unless a bunch of 18th century guys played history's biggest practical joke, there may be something very important down there. Legend has it that seven people will die before the treasure is recovered. It also says the treasure won't be found until there is no living oak tree left on the island. As of today six men have died in the quest and there is but one oak tree left. 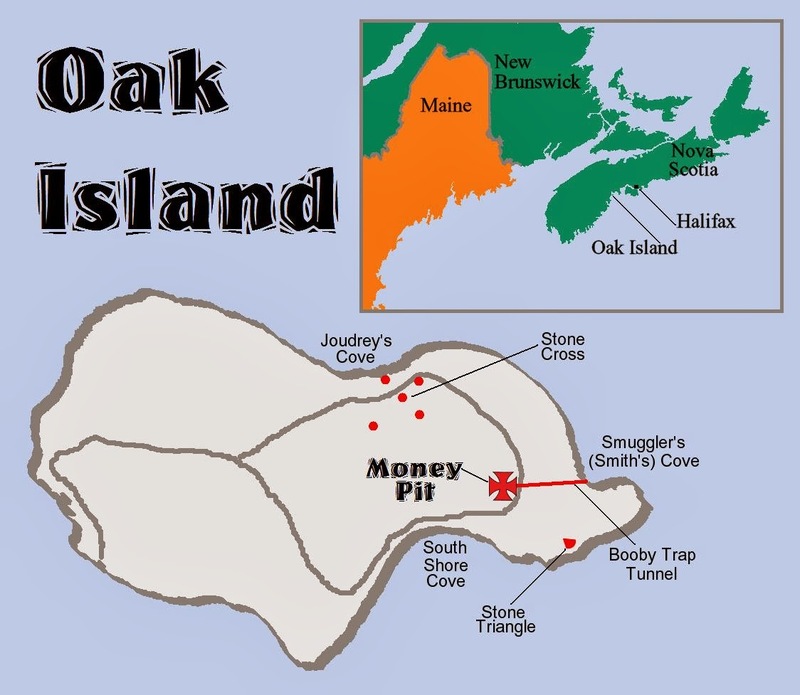 Still, no one knows what is at the bottom of this mysterious place, now known as "The Money Pit," located on tiny Oak Island, a peanut-shaped dot tucked into Mahone Bay, about 40 miles southwest of Halifax, Nova Scotia (or about 175 miles east of Bar Harbor, Maine). It didn't take McGinnis and his friends very long to dig about three feet into the pit where they found a layer of carefully laid flagstones. To them, this was clear evidence that the hole they had found was not a natural phenomenon and it spurred them to continue the dig, which became increasingly difficult as the hole — 13 feet wide — deepened. At a depth of ten feet the young men discovered a layer of oak logs laid across the width of the shaft. This second discovery also encouraged them to keep going. They found another layer of logs at the depth of 20 feet, and another at 30 feet. Having dug down 30 feet in a pit 13 feet in diameter was all they could take, and they gave up. The hole sat unattended for eight years until 1803. Vaughan had a connection with the Onslow Company of Nova Scotia and, on behalf of the original trio, he arranged for it to bring in some heavy equipment to "finish" the dig. Onslow workers went down another 60 feet before they, too, gave up. At regular intervals of ten feet, just like the McGinnis group, Onslow found layers of oak logs. The crew speculated the wood layers were there to prevent the dirt filling the hole from sinking and crushing the contents below. Onslow found no treasure, but the company made a couple of significant discoveries. At about 60 feet, the crew found coconut fibers, which were commonly used as packing material; however, the nearest coconut trees were 1,500 miles south of Oak Island, indicating whatever was in the pit was not of local origin. Perhaps more significantly, at the 90-foot level the men allegedly found a stone slab with strange markings. 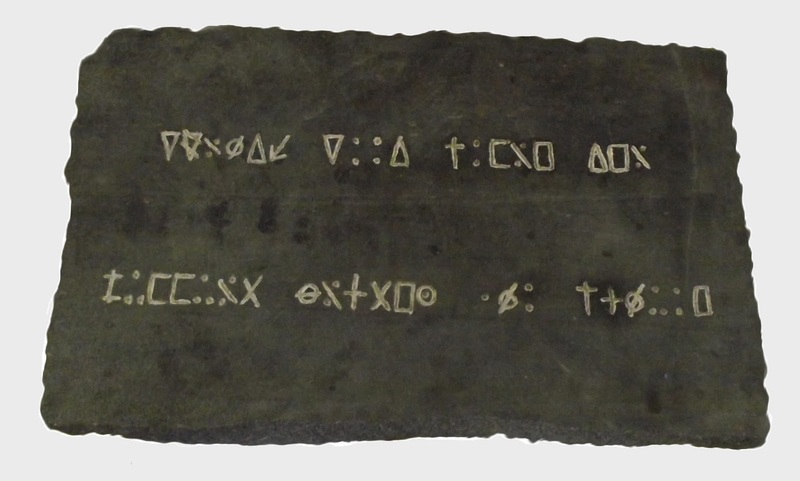 Of course, no one could interpret the "cipher stone," as it is now known, but the crew did take it as an encouraging sign. The stone has been lost, and most historians think it is nothing more than a legend. Some accounts say the owner of Oak Island took it home and used it as part of his fireplace hearth. Whatever happened to it, if it existed at all, the supposed inscription was copied. Two independent scholars have interpreted its inscription to say, "Forty feet below, two million pounds lie buried." Legend or not, the Onslow crew figured it was on to something and kept digging... but not for long. Whether there was a cipher stone or not, digging through the 90-foot level activated a "booby trap" that flooded the pit back up to sea level (approximately the 32-foot mark). Some researchers have speculated the trap worked on the same principle as a soda straw someone dunks into a glass of water, holding a finger against the top of the straw. The inside of the straw remains filled with air until that person removes the finger, then it fills with water. Removal of the cipher stone, or whatever was at that level, broke the seal. It appeared whoever built the pit constructed a side channel out to the sea and, when the seal was broken, the water rushed in. Upon being unable to drain the water, the Onslow Company gave up its search. Reports on the nature of this water trap differ. Some researchers claim to have found a series of five channels leading into the main channel that fed into the Money Pit. During a 1995 survey, however, the Woods Hole Oceanographic Institution filled the main chamber with red dye. They then observed the dye exiting into the ocean at three different locations. The scientists there concluded that this meant the pit flooded due to a natural phenomenon, not because of a man-made trap. Others refuted the findings saying they proved there were multiple water traps, proving the construction to be extremely sophisticated for something built prior to the end of the 18th century. Adding to the confusion, in 1897, another group calling itself the Oak Island Treasure Company said it discovered the booby trap tunnel while excavating between the money pit and Smith's Cove to the east. Later, explorers found a "five finger drain" coming out of the island at Smith's Cove, claiming this proved conclusively the booby trap was real. Not so, claimed another researcher, speculating the unusual drain was part of a previously unknown salt works. Many companies and individuals have made attempts to complete the dig since the Onslow company left. John Wayne owned one of the companies that tried. Antarctic explorer Richard Byrd also became involved in the project. In 1910, a young Franklin Roosevelt made the first of two trips to the site, and maintained a lifelong interest in it. One of the main goals of many of the digs since Onslow left has been to drain the shaft. Even with some fairly sophisticated modern technology, no one has been able to do it and the Money Pit remains flooded to this day. Other teams taking core samples gathered by drilling directly into the hole have found new intriguing artifacts. At 98 feet searchers discovered a layer of spruce. On below they discovered three links of a gold metal chain. In 1897, during the same dig in which the Oak Island Treasure Company claimed to have found the booby trap tunnel, workers also drilled into the shaft for core samples. At the 153 foot level they found seven inches of cement fragments, followed by another seven inches at the 160 foot level. In between, they found a parchment fragment about the size of a dime, with the letters "w" and "v" written on it (others say the inscription is "VI"). The paper was treated with traces of mercury, assumed to be there for preservation. Given the configuration of the cement samples, the company concluded the fragment was inside a concrete vault. In the 1930s, the Chappell, Hedden, and Hamilton dig drilled through the same spot but didn't find any cement. Treasure hunters at the site have been less active in recent years. The last significant dig took place in 2010. At that time, explorers measured seismic activity and yielded results termed “interesting,” but the latest available published results stem from a 2008 exploration. Oak Island, especially the area surrounding the Money Pit, may be the most extensively studied piece of real estate in North America. Modern researchers have discovered metal buried in several places on the island and speculate there are multiple locations where additional treasure, or artifacts, may be buried. Still, in over two centuries, except for a few tantalizing scraps, no “treasure” has been recovered. Today, Oak Island is under private ownership. Until 2011, the province of Nova Scotia scrupulously regulated treasure hunting applications and had a history of being slow to issue anyone a "Treasure Trove License.” The province issued the 2010 license to the seemingly inappropriately named company, Oak Island Tourism, Inc., a consortium consisting of most of the property owners on the island along with a few others. In 2011, the "Oak Island Act" came into effect which allowed treasure hunting to continue under the terms of the former license. No reports of significant activity since then, however, have surfaced. Another group, Friends of Oak Island (friendsofoakisland.com), actually arranges tours. This group conducted several walking tours during the summer of 2013 and indicated it had plans of continuing to do so. The island is otherwise closed to visitors. The province of Nova Scotia has considered developing the island as a major tourist attraction, but that project has yet to gain momentum. It wouldn't be too much of an exaggeration to say there are countless theories attempting to explain the contents or purpose of the Oak Island Money Pit. As is usually the case, each of the theories has supporting documents, anecdotes and suppositions to back it up – as well as detractors. Some think either the British or the French hid funds there to keep them away from their respective enemies during the American Revolution. Others believe it to be Spanish or even Mayan treasure. Given the fact that a video probe into a secondary pit revealed grainy scenes of what may be a body, there is speculation that it is the tomb of someone important. One of the most prevalent theories is that the Money Pit guards the treasure of the infamous pirate Captain Kidd. Alleged deathbed confessions from members of his crew may support that conjecture. Another theory claims the pit is nothing more than a sinkhole. Those supporting this theory point to recent indications that the findings on the island are more in line with a natural phenomenon. They contend the booby trap is the result of porous stone found elsewhere in the area. They also say the oak logs found at regular intervals weren't as regularly laid out as some claim, and that they were just sucked in when the sinkhole was formed. When it comes to artifacts found there, the gold chain for example, they contend they were planted to spur additional digging. One of the more creative theories stems from claims William Shakespeare didn't write all of the plays attributed to him, but rather Francis Bacon did at least some of the writing (if not all of it). Since no original Shakespearean manuscript has ever been found, some believe they will turn up at the bottom of the Oak Island pit where Bacon may have had them hidden. Proponents of this theory point to the dime-sized, mercury-preserved paper fiber for support. The speculation rolls on and on with some theories having degrees of credibility and some careening off the wall and flailing in from left field. Various researchers have proposed the contents of the pit may have come from (among others): the Egyptians, Aztecs, Mayans, Vikings, Portuguese and even, yes... space aliens. Take your pick. And then there are the Freemasons. Whenever there is a mystery, someone is bound to throw in a theory about how those scoundrels the Masons are behind it all. The Oak Island treasure has all the ingredients – suspected treasure, mysterious and ancient origins, symbolism and complex construction that only some of history's greatest builders could have pulled off. Many of the Oak Island researchers put the Freemasons right at the top of their list of suspects. 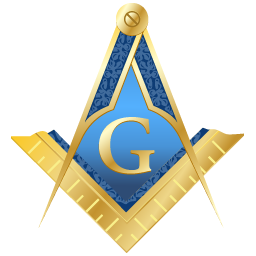 Historically, most Freemasons and independent scholars agree Freemasonry descended from the craft guilds of the medieval stone masons. 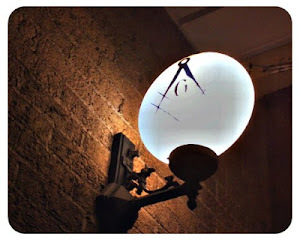 Still, there are connections some feel indicate Masonic origins stem from the order of warrior clergy known as the Knights Templar, a name which today's York Rite Commandery members have assumed. Originally formed as a band of knights to protect the Holy Land, the Templars took vows of poverty, chastity and obedience to God. Some have suspected the members of finding Solomon's treasure while they resided at the site of his temple, although no signs of digging are apparent there. Along with that treasure, they also might have discovered the Arc of the Covenant and the Holy Grail. Over the years the Knights Templar fought, won and seized the assets of their enemies. Being a monastic order, the Templars paid no taxes and, despite their vows of poverty, became so wealthy they actually formed Europe's first continent-wide banking system. Rumors swirled about their activities, with detractors claiming they had abandoned their original vows and were engaging in forbidden non-Christian practices. By the beginning of the 14th century, the order had become a weakened military group but was otherwise exceedingly rich and powerful. The Knights Templar answered only to the Church, and King Philip IV of France became wary of their power and jealous of their wealth. Philip kidnapped the Pope (who mysteriously died) and eventually replaced him with Pope Clement V, whom Philip controlled. With the setup in place, Philip struck on Friday, April 13, 1307. With the blessing of his puppet Clement, Philip orchestrated a simultaneous raid on all Templar centers. He arrested the knights, confiscated their wealth, charged them with unspeakable crimes and tortured them to gain confessions. Rumor supported by some evidence has it that some of the knights escaped, grabbed all or part of the great treasure and headed for the hills... the hills of Scotland, where they found refuge in the stonemasons’ lodges. The treasure, some suggest, went directly to Oak Island, which is unlikely since Europeans didn't learn about the New World for another 185 years. Others suggest the Templars took the treasure to Scotland where it was hidden in Rosslyn Chapel. Some suspect the treasure is still hidden at Rosslyn, but searches have yielded nothing but more speculation. Alternative theories say the Templars forged an alliance with the family of William Sinclair who built Rosalyn. Later, they contend, Sinclair or one of his descendants had the treasure moved to Oak Island. So there you have it. It's the Templar treasure on Oak Island because the knights bugged out of France with it and took it to an obscure place not yet discovered. Or, they took it to Scotland with them and years later William Sinclair took it to Oak Island when, in fact, he apparently had a perfectly good hiding place for it at Rosslyn. If you think there might be just a couple of holes in the Templar theory, fear not. Other signs point to the Masons, too. The Bible tells us Enoch, seventh man from Adam and the great-grandfather of Noah, was a just and upright man who so pleased God that he did not die; rather, God took him directly to heaven (Hebrews 11:5). We learn further from Jewish and Masonic legends that God saw Enoch as a man of such virtue he elected to reveal to him His true name. Enoch dreamed God appeared to him and said, "Enoch, thou hast longed to know My true Name. Arise, and follow Me, and thou shalt learn it." He transported Enoch to a mountain top where the true name of God was written in the clouds. God then whispered the name to Enoch and forbade him to say it to anyone. Afterward, God transported him into the earth through nine arches into a subterranean vault. There, Enoch found a triangular gold plate containing the true name of God. When he awoke, Enoch took the dream as a sign from God and traveled to Canaan, where he dug the nine arch-covered subterranean apartments he had seen in his vision. The lowest was made of solid rock. There, upon a pedestal, he placed a triangular plate of gold containing the true name of God. Above this excavation, he built "a modest temple of unhewn stones" with a secret passage leading into the apartments. Underneath it all, the pedestal with the gold triangle waited for future generations to find. And find it, they did. The Scottish Rite's 13th Degree is a legend about "recovering that which was lost." Commonly known in the Scottish Rite's Southern Jurisdiction as "The Royal Arch of Solomon," this degree has also been called the "Royal Arch of Enoch." In the ceremony of this degree, three candidates emulating workers Adoniram, Yehu-Aber and Satolkin are on a quest to descend through the nine apartments into the lowest vault. Upon reaching it they find themselves in complete darkness. When the workers uncover a pedestal, a bright light fills the room. In this mysterious light, they are able to see the Ineffable Name of God. Likewise, in the Royal Arch, or 7th, Degree of the York Rite, three sojourners offer to help rebuild the temple. Once the three prove themselves to be Most Excellent Masters the council members assign them to clear the ruins of the old Temple in preparation for the laying of the new Temple's foundation. Eventually, the three workers discover a subterranean vault and two of them use a rope to lower the third into it. 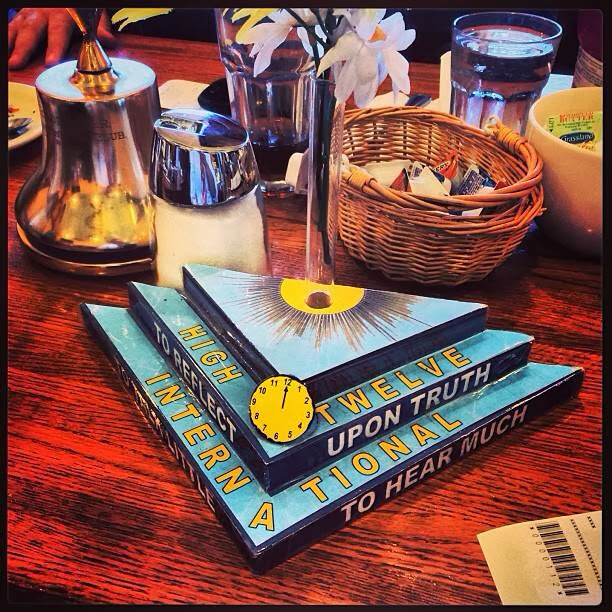 There, on a triangular pedestal, the third sojourner finds "a curiously wrought box, on the top of which were three ancient squares." Later, the squares are determined to be the jewels of office of Grand Masters Solomon, King of Israel, Hiram, King of Tyre and Hiram Abif. The box contains a pot of manna, Aaron's rod and a scroll containing the long lost Book of the Law. Although the items found in the two degrees differ, the existence of the pedestal and the pit are similar. Additionally, historical commentaries indicate an earlier form of the Royal Arch Degree was more consistent with the 13th degree in the Scottish Rite. McGinnis, Smith and Vaughan discovered and began excavating the Oak Island pit, corresponding to the three workers, Adoniram, Yehu-Aber and Satolkin who discover Enoch's apartments. A temple of unhewn stones sat on top of the shaft in the Enoch legend. The money pit was covered by a layer of "unhewn" flagstones. Enoch left his treasure in the 9th subterranean chamber. Beginning with the first layer of oak logs serving as its roof, to the bottom of the Oak Island pit, there are nine chambers. The lowest of Enoch's chambers was made of stone. Core samples brought up in 1897 allegedly found a seven inch layer of cement at the 153 and 160 foot levels, indicating the lowest chamber contained a "stone" vault. In the Royal Arch degree, part of the treasure found was the long lost Book of the Law, corresponding to, according to some, the parchment found within the lowest vault in 1897. The workers in the Royal Arch degree strike a rock with a crowbar prior to the discovery of the treasure. The structure gives forth a hollow sound, which eventually reveals the underlying vault. Likewise, just prior to ceasing operations, the Onslow Company — using a crowbar — dug up the cipher stone and reported striking a hollow sounding object just below. 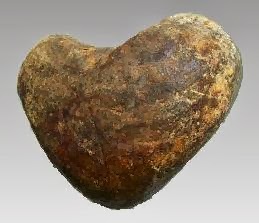 Records indicate that very early on in the Oak Island digging process, workers found a rock with an iron ring embedded in it near Smith's Cove on the east end of the island. In the 13th Degree, the subterranean vault's door is a stone with an iron ring to enable its opening. The similarities between the Masonic degrees and the characteristics of the Oak Island dig appear to be more than coincidental. Regardless of what may lie at the bottom, Masons may have, over time, highlighted or even added facts to symbolize the pit as a representation of the 7th Degree in the York Rite or 13th Degree of the Scottish Rite. 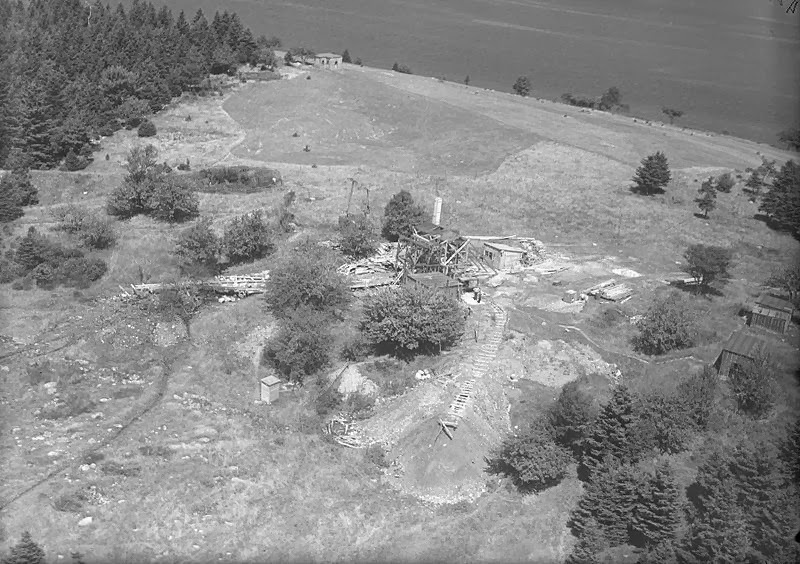 Even if theories corresponding to the Templars and to Enoch seem a bit shaky, many are still determined to pin the origin of the Oak Island mystery on the Freemasons. It seems there is Masonic symbolism, or perceived Masonic symbolism, all over the island. However, the Masonic connections on Oak Island, if they are real, are somewhat unique. Most other theories relating events with possible Masonic origins compare their symbolism to attributes of Blue Lodge Masonry. Although there are traces of the symbolism of those first three degrees on the island, most of what is there relates to the York or Scottish Rites. When Freemasons leave signs of their presence, they generally don't delve into the "higher" degrees for symbols. 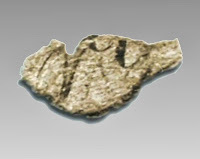 Symbols from the first three degrees on Oak Island, however are rare. For starters, there are claims that there were Masonic markings on the tree above the pit. Unfortunately, the only surviving indication of what those signs might have been is that they were "signs by which Freemasons identify themselves." Absent the knowledge of what those signs were, we can only speculate they may have been more standard representations of the Blue Lodge. Letter "G": In 1967, workers unearthed a granite boulder with the letter "G" carved into it. The letter is formed inside a rectangle and was found on the east side of the island, all items of significance recognizable to Freemasons, with the "G" itself alluding to the core of the ritual with connections to deity and the geometry of operative Masons. Point Within A Circle: A 1936 expedition turned up several stones on the north side of the island near Joudrey's cove. 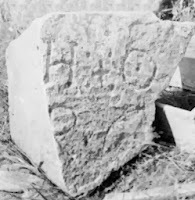 Gilbert Hedden who was in charge of the dig, reported the stones bore Masonic markings, but was not specific as to what the markings were. On one stone, however, Hedden found a carving of a point within a circle. Other markings on the stone appear to be the letter H and a cross flanked by four dots, which some researchers have concluded bear similarities to the Portuguese flag. 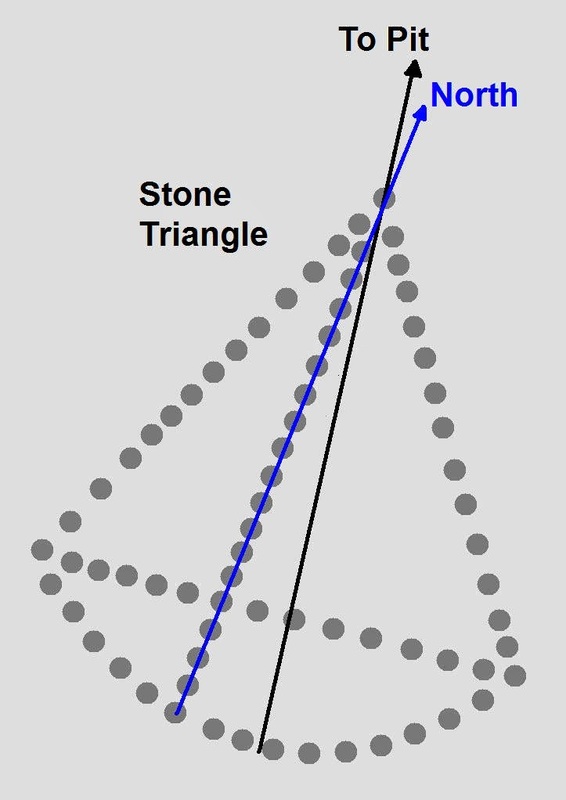 Equilateral Triangle: There was (most reports indicate it is no longer there), on the south side of the island, an equilateral triangle measuring about ten feet on each side. Rocks laid out at about one foot intervals formed the shape of the triangle as well as a semi-circle beneath it. Through the center was another line of rocks pointing due north, with the triangle itself pointing directly toward the money pit. Some have said the triangle also resembled a crude depiction of a sailing ship. The Cross: Five large conical stones on the north side of the island form the shape of a Christian cross with a sandstone marking the center point of intersection, apparently alluding to the connection between the Masons and the Templars. The cross is situated from northeast to southwest with a span of 720 feet and a height of 867 feet. Due to the distance between the stone markers and the fact they were partially hidden in island undergrowth, the cross was not discovered until the early 1980s. The Cypher Stone: Reportedly found at the opening to the final deep chamber, the cypher stone itself bore no Masonic markings, but told of a treasure buried below. Some ascribe Masonic symbolism to it just by the fact that it was encrypted, seemingly implying that where there is encryption, there is Masonry. Most notably, however, they relate it to the use of the Royal Arch cipher, although the coding on the stone as described was not that of the Royal Arch. Those are the main items, but there is even more. Various workmen's tools, corresponding to the working tools of a Freemason, have been unearthed on the island. Most notably, searchers found a square underneath the finger drains in Smith's Cove. Of course all Masons are aware of the place the square holds in their ritual, but not all squares are Masonic. Author Dennis J. King, a Freemason, postulates that separately, the tools might not mean much but together they seem to represent signs and symbols of Freemasonry. (The Oak Island Legend: The Masonic Angle, 2010). Oak Island is at the very least an intriguing mystery. Buried within the legends that have built up around it are certain facts that have made it an enigmatic and captivating place. From a discovery made by three curious young men over 200 years ago, to the technology fueled digs of today, we still know nothing for certain. All we do know is there may be absolutely nothing in the pit, or it may be the greatest treasure of all time. Where is Benjamin Gates when you need him? The date was March 5th 2008, My son Griffin's first birthday. I arrived later than I wanted to and I was nervous. It was the night I was going to receive my first degree in Freemasonry, the Entered Apprentice. I knew no one at all in the lodge dining room. I went around shaking hands with everyone. It was an odd feeling, normally I am not the kind of outgoing person that would have done that, but this was something I was serious about and I think somehow deep down in my soul I knew it would be my second home. In short, I had to make an impression. You see, I was what Masons call in todays nomenclature as a "Web Inquiry". I knew not one Mason. I went to the website of the Grand Lodge of the State of Illinois and filled out a request for more information. I was called by the secretary, set up with a lunch date with a guy who worked in the building where I was employed who was a Shriner. After 3 lunches, I had my petition filled out and now some years later I have held every chair. except Worshipful Master. Flash forward to today and my involvement in others getting their degrees. I have to say I have done a great many degrees, admittedly more Entered Apprentice degrees then anything else, which I fear is the usual. There are these degree nights that I get so excited for, I want a turn out. I know you all are the same, but how many Brothers come out for the Degree? Seven? Ten? 15 maybe? The problem of attendance is something we are slowly but surely overcoming in my lodge thanks to a program I have implemented and will shortly publish, but that is another post. Let me ask you all a question, for some of you this may be a vivid memory and for others, a fogy one. But, can you remember how many side liners were in your EA degree? How many Brothers pulled double duty to give you the experience that for the best of us has changed our very lives? I know I can't. 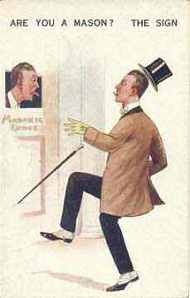 But recently after reading the mental mementos of Bro Robert Walk Jr. in his blog On Freemasonry And Humble Pie ,it got me thinking about my first degree. I thought about all the guys who showed up, who gave me 4 hours of their life to change the way I lived the rest of mine. One night recently I was thinking about this and suddenly fell asleep, it was a long day and it was a thought process which was typical for me. Reminiscing until I passed out. I woke up, not suddenly, just a calm kind of way. My eyes opened and the first thing I thought about was, "Who in the heck was that?". I had awoken from an odd dream, one that jogged my memory.You see the night of my EA degree, there was a man there, not too much older than myself, who I haven't seen since. He was sitting in the South, just to the right of the Jr. Warden. It is typical, in Illinois at least, to seat the new EA at the right hand of the Jr. Warden in the south as the degree concludes and proceeds to close in form (officially). So that is where I was sat and that is where this man was sitting. He was the first to shake my hand, and the first to show me what to do as the lodge was closing. uniform. Well, I got to thinking, I said to myself, "You know, I am going to search the lodge meeting records, see when I got my first degree and solve this mystery.". So I did just that. After flipping through pages going backwards until I found it. 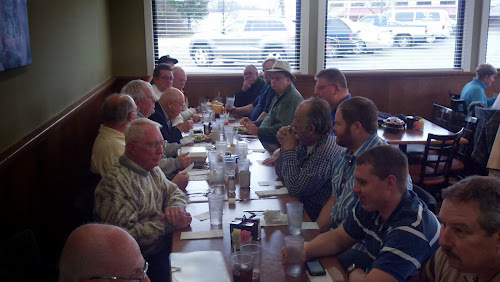 Attendees for a "Special" meeting of Waukegan Lodge #78 dated 3/5 A.D. 2008, A.L. 6008, "Johnson 1st°. As I scanned through the names, admittedly it wasn't a huge turn out, I came to the visitors section, and there it was, one name. He was from DeKalb Lodge #144 DeKalb IL. I still can't read the signature and no one knows who he is. But that night, I had mentors and many amazing gentlemen who would, whether they knew it or not, become an integral part of my life, but there was also this other Brother who showed me, a new EA, the ropes as it were. That night he was my guardian. Thanks Brother, wherever you are. The 50 year member was pulling his car into the parking lot of Pudge’s apartment complex. He always had trouble finding his apartment when he picked Pudge up. All the buildings and parking lots looked the same. How does anyone live in a place like this? He thought to himself. After a few minutes of driving around the complex he found the right building thanks to the numbers displayed on the side. The old man wasn’t looking forward to climbing those three flights of stairs to the apartment. “How do you carry groceries up all those stairs?” The old man thought to himself. The old man arrived at Pudge’s door and knocked three times. For years he always chuckled to himself when he did that. “I wonder if other Masons do that.” He was thinking. The door swung open and Pudge’s smiling face appeared. “Hi! Come on in!” Pudge said as he swung the door open. As the old man walked inside he was looking around the apartment. It was a typical bachelor’s apartment. Mismatched furniture, books and magazines lying all over the room and what the old man thought was a giant television playing what looked like a video game. The old man smiled to himself. It reminded him of his first apartment he shared with another man when he first moved away from his parents’ home. As the old man was looking around the room he heard a noise coming from the kitchen. He looked inside and saw a lady doing dishes and cleaning up. Pudge said to the old man “This is my mom Darlene. She came up from Florida to visit me but all she has done so far is clean.” Darlene dried her hand with a dishtowel and shook the old man’s hand. “Well someone has to.” Darlene said “This place is a pigs sty. Jeremy wasn’t raised like that.” she muttered. The 50 year member laughed. “I think all young men are like that. His priorities will change when he finds a girl he is trying to impress.” Pudge began to blush and the two older people laughed. “I’m ready to go when you are.” Pudge told the old man as the two older people said goodbye. Darlene grabbed Pudge by the arm and whispered in his ear “Is he one of them?” You could see Pudge become annoyed as he said “Yes Mother!” and began walking to the door. Pudge sat and reflected on what he had just heard “So the real secret of Masonry is to make you a better man?” The 50 year member signaled as he turned a corner. “I think that is the secret” he said “For many years’ people have tried to complicate the message. I’m afraid in my opinion that is really That which is lost. For so many years the so called secret was used to bring in new members. And as the numbers rolled in the real reason men joined was pushed out for the sake of titles and petitions for other Masonic bodies. 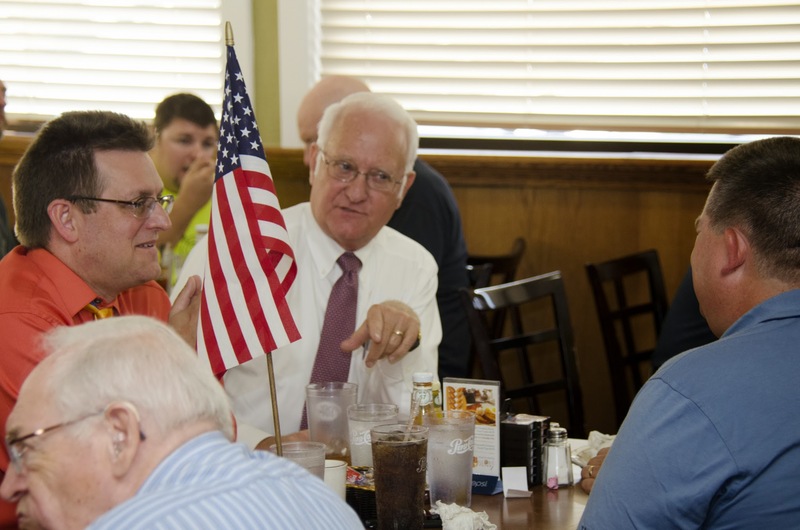 "I am sure all of us know a member in our Lodge that has lots to share, and wants to see us carry on the work they have been doing for so long. I think we owe it to them." 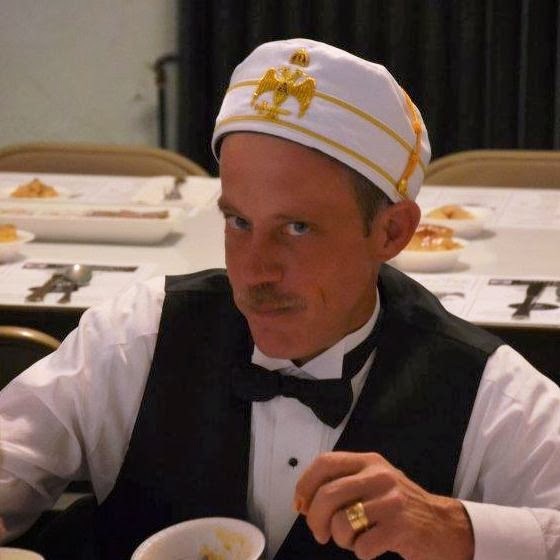 It's with a heavy heart that I announce that one of our regular contributors here at the Midnight Freemasons, the Illustrious Brother L. Scott Niccum, 33°, passed away on November 30th. But he was much more than just a contributor here. Many of us at the Midnight Freemasons knew him personally--well enough to just call him Scott, or by his nickname "Wormy." So it's with profound sadness we mourn the passing of our friend. Scott was a true and upright Mason, and greatly respected and admired by friends and Brothers. Masonry, at least in this part of the world, came to a screeching halt for a moment so that we could honor our good friend Scott Niccum--degrees rescheduled, meetings cancelled, and carpools arranged. And with heavy hearts, we came together in Charleston, Illinois to bid farewell to a man many of us saw as not only a friend, but as a mentor as well. Scott was a Past Master of Greenup Lodge No. 125 (IL), and a dual member of Hutton Lodge No. 698 (IL). He was a member of the Scottish Rite Valley of Danville, which is where I got to know him. 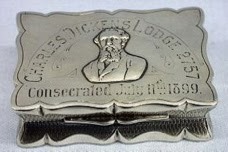 He was the Past Thrice Potent Master of the Lodge of Perfection. He was also the Eastern District Coordinator of the Masonic IL CHIP Program for our Grand Lodge of Illinois A.F. & A.M. In 2011, Scott Niccum received the Fraternity's highest honor, the 33rd Degree. I was fortunate to have had the honor of sharing that experience with him along with Michael Brandenburg--the three of us received that honor from the Supreme Council that same weekend. I've written and rewritten this piece I don't know how many times since I got that phone call on Sunday. I've seldom been at a loss for words, but that's where I find myself right now, so let me just say this. Scott Niccum was a man that loved to laugh, and a man that loved to make other people laugh--and that's what he did a great deal of the time. But there was one thing he took very seriously, and that was Freemasonry. You need only judge him by the example he set. Nobody worked harder than Scott did at making the world a better place to live, and you need only see some of the things that have been written about him this week--the tributes--to see just how many lives he touched in his short time on Earth. But every once in a while, Scott would turn serious, and say something very deep and very profound about the men he'd met in this Fraternity, his experiences since he joined, and just how much Masonry had changed his life. I'd heard him talk like that a few times, and it's one of the reasons I asked him to be a contributor on the Midnight Freemasons back when we first began. He was relunctant at first to do it because he said he wasn't a writer, but he finally looked at me and said, "if you can do it, how hard can it be?" And I wasn't wrong--those few pieces he wrote on here were remarkable. They were heartfelt, and they were real--just like the man that wrote them. I remember thinking when I first read the line I used above as a quote, that he was talking about himself. He was so focused on telling the stories of those men that had helped him along his path, and had inspired him, that I'm not sure he really understood what a tremendous influence he was to others, and just how many of us there are out there that are better for having known him.